Track your play. Follow your child. Everyone wants to tell their friends about that great drive! Now you can do one better and show them visually where you hit it. Some people want to analyze their tendencies on the course. Now you can go back and see instead of trying to remember. 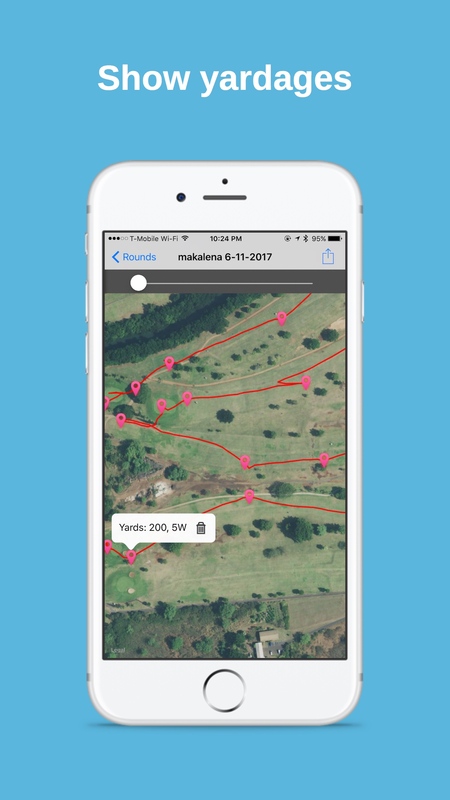 Backtrack golf is your companion, logging where you went and where you stopped. 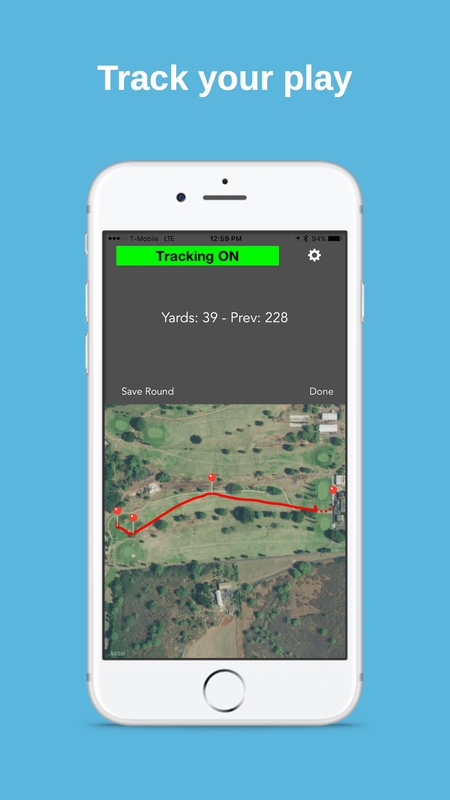 It measures distances and records them so you can look back and learn.. You can also use it on the course while you are playing. It is easy to see exactly how far you are hitting the ball and then you can make adjustments based on what is being displayed. It’s also a great learning tool for junior golfers as you can see how they did on the course after the fact. 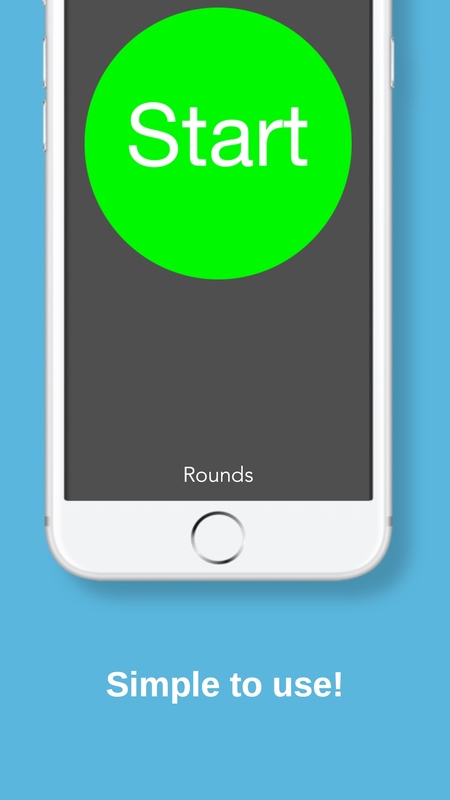 Finally, there is Live Round mode! 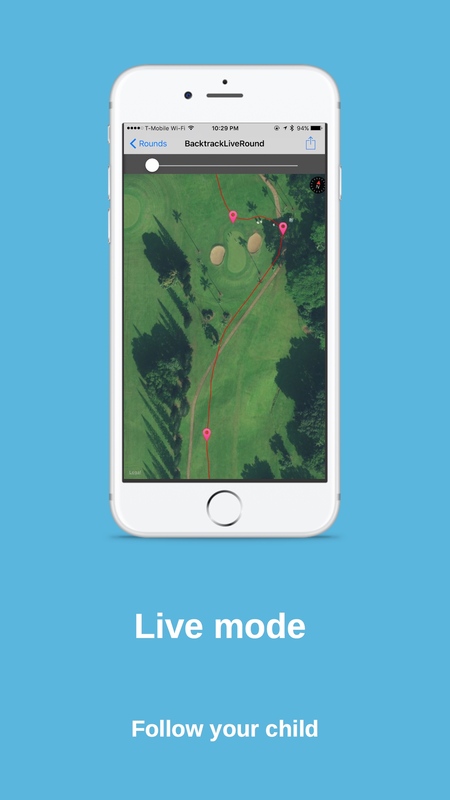 Follow a player as they play on the course remotely! Yes, the player is on the course and you can visually follow them as they play on your phone - enjoying their every move! You can look back on your rounds and quickly see any tendencies you have. With the Apple watch, you get a vibration when a spot is marked. This means you can also use Backtrack golf as a timer to remind you to slow down and do your pre-shot routine. This can help prevent you from rushing when you are feeling nervous. Because distances are automatically calculated, you can check your distances on the course and adjust appropriately. It’s also great for determining what your distances are like when playing in windy conditions. It helps when using rented clubs as you can check the distances and quickly adjust. Live Round mode allows you to follow a player (such as a junior golfer) as he/she plays the course. Email - please triple check!